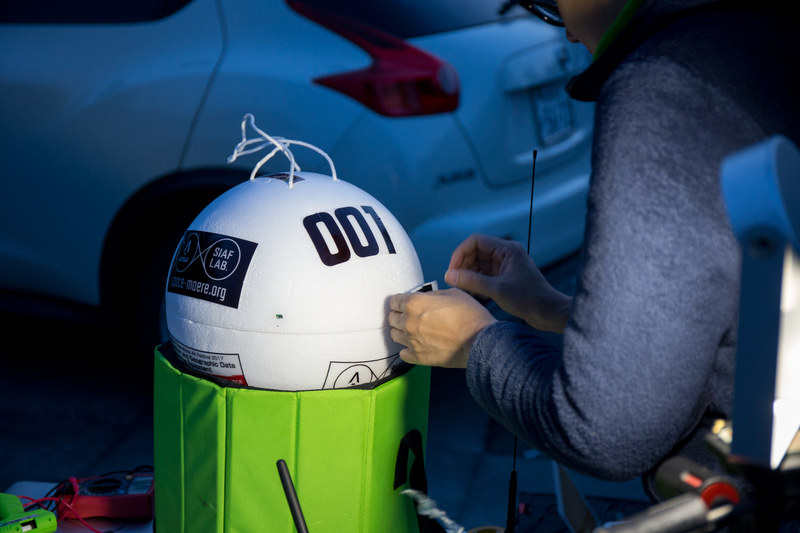 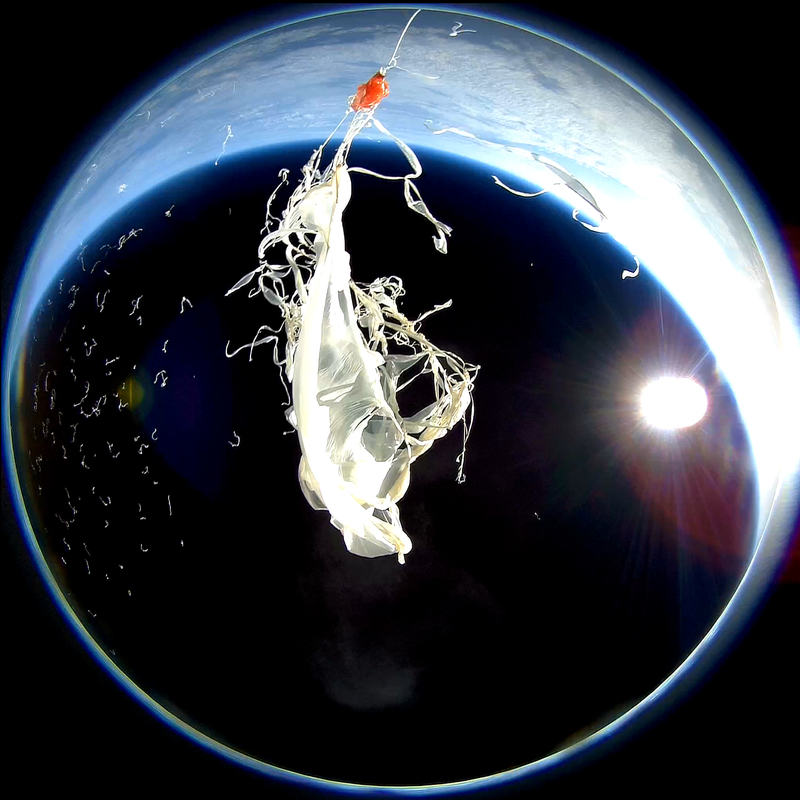 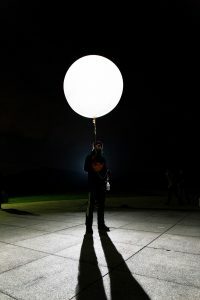 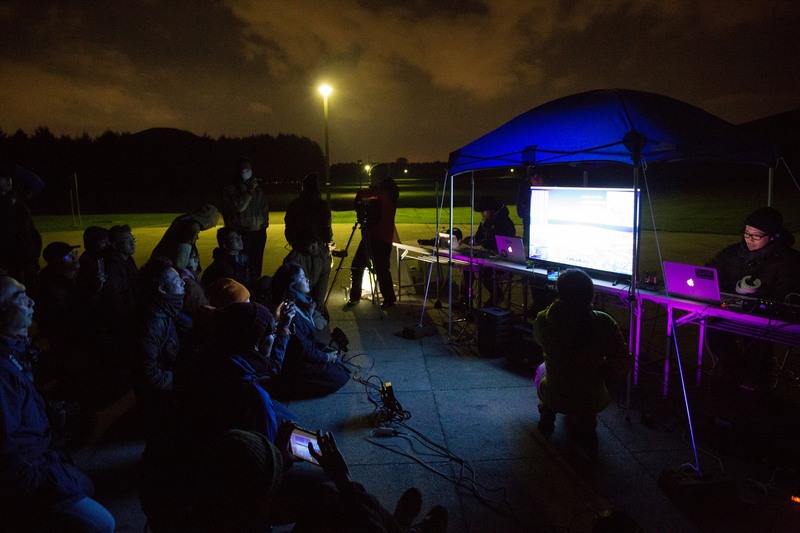 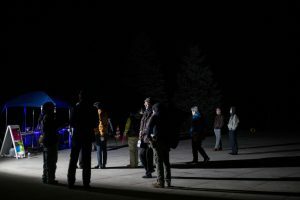 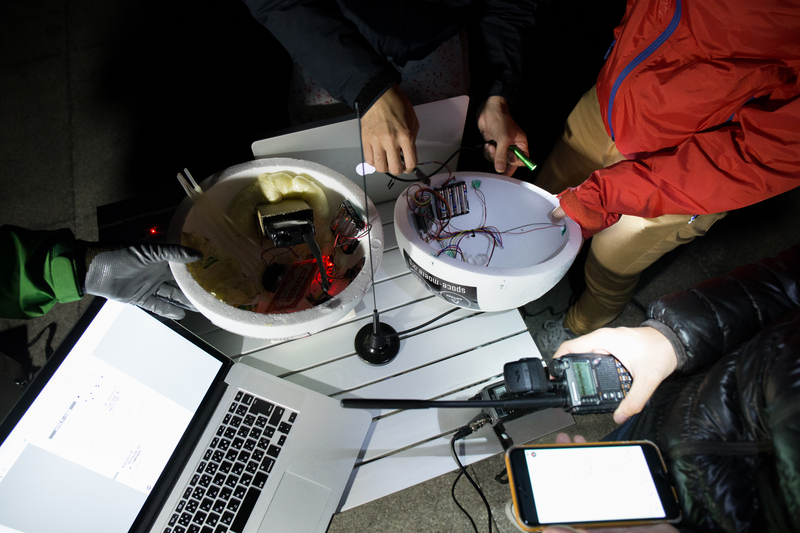 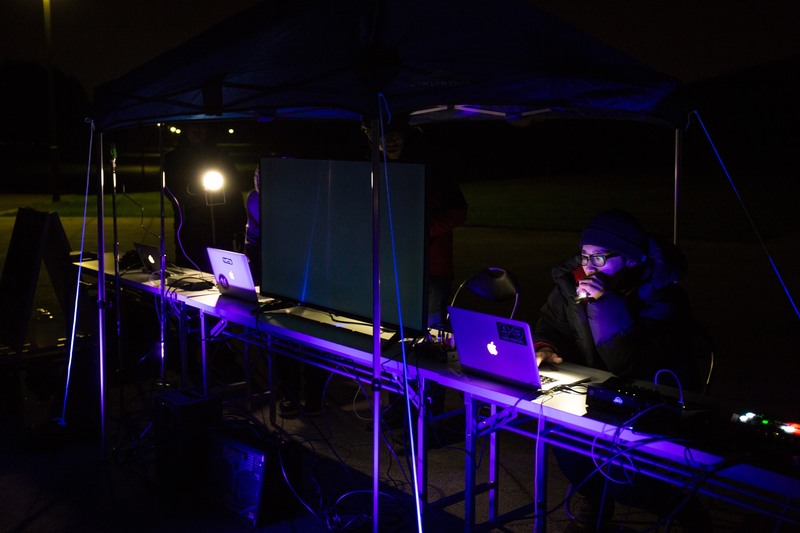 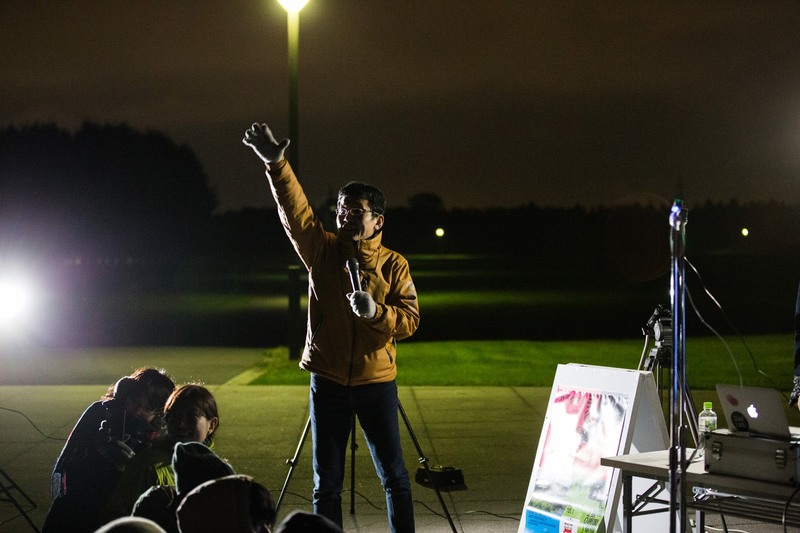 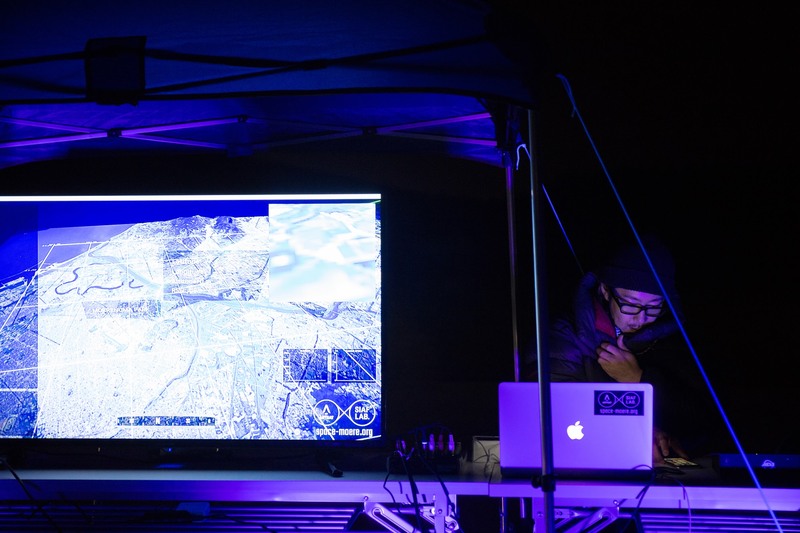 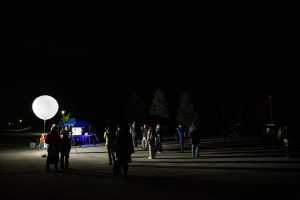 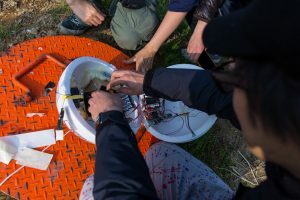 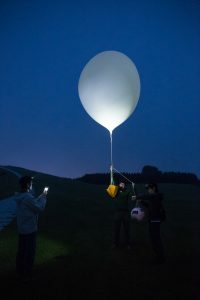 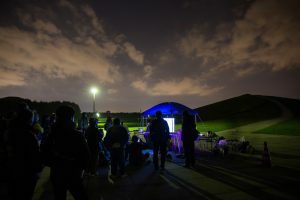 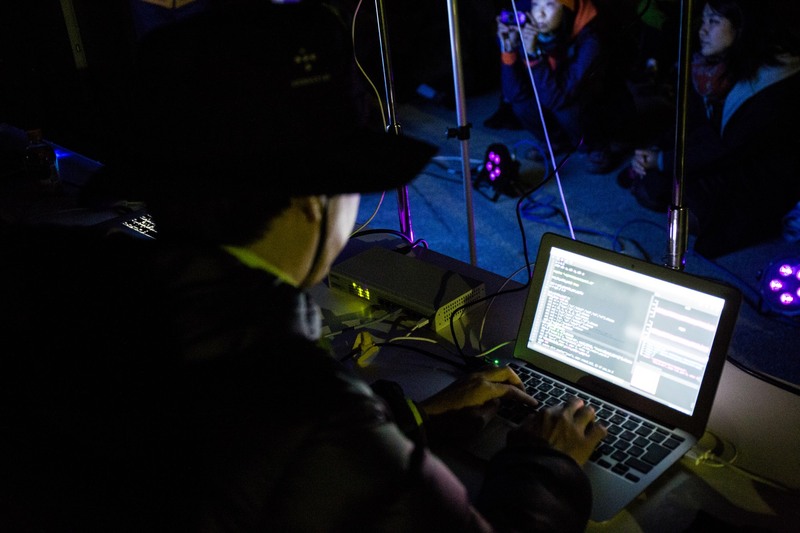 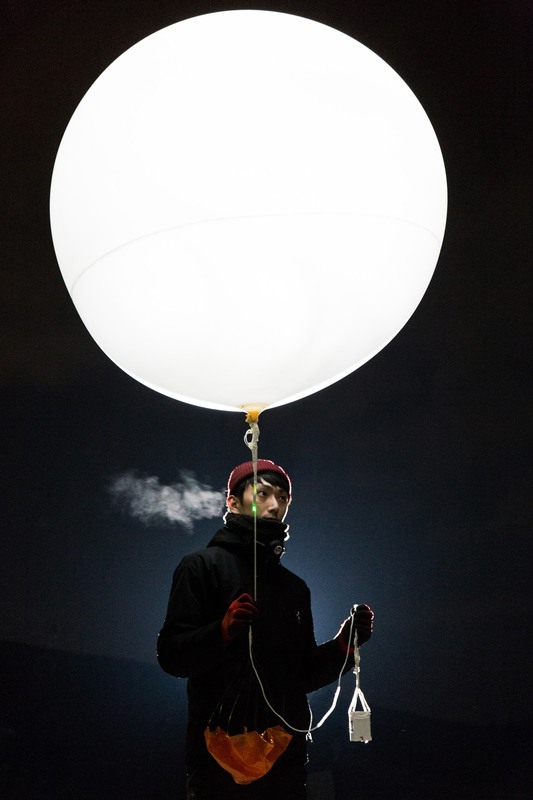 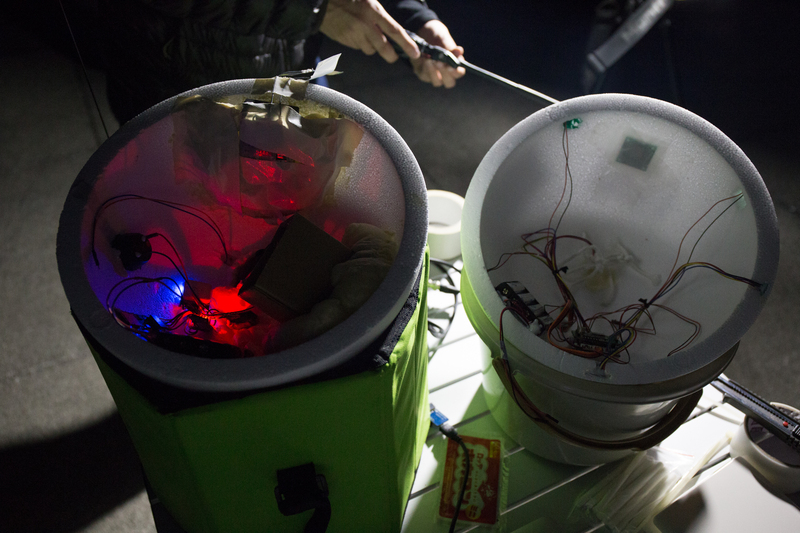 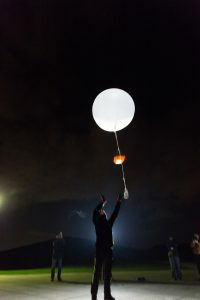 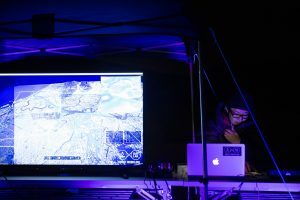 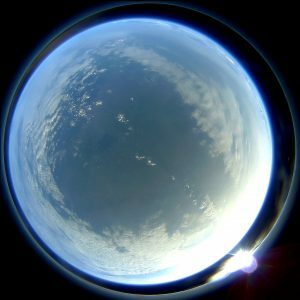 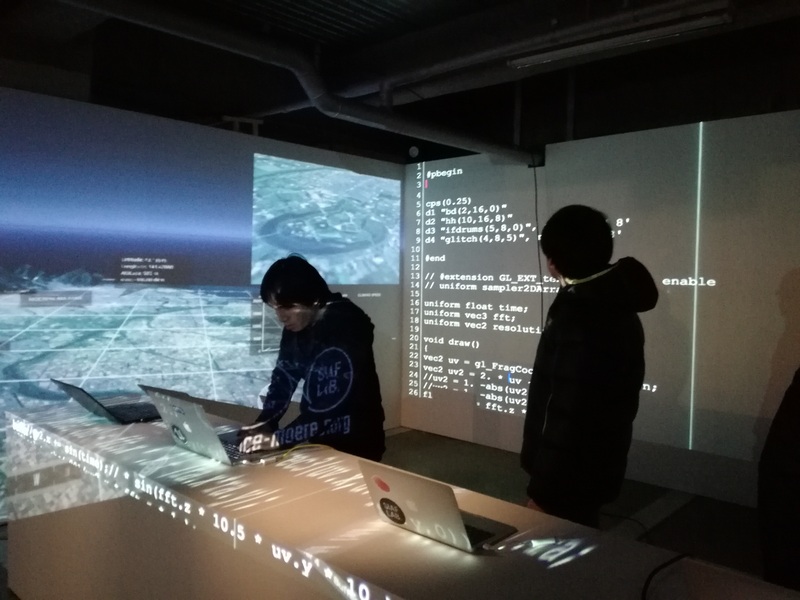 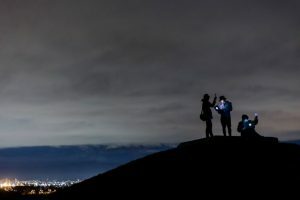 This live-coding performance replicates our past performance with a balloon module, which was launched from Sapporo Moerenuma Park into the stratosphere and reached 12 km above the surface of the earth in its 80 minutes flight on Oct 19, 2017. Same as in October, we took an improvisational approach to collaborate with the balloon module. 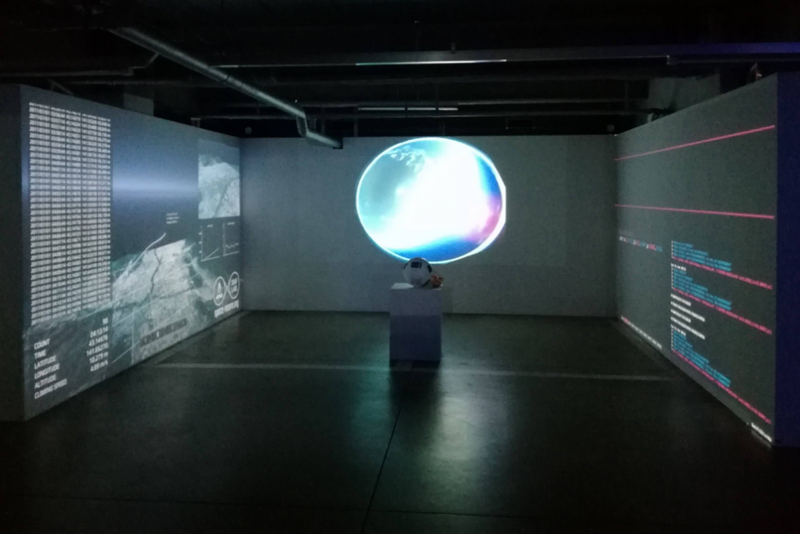 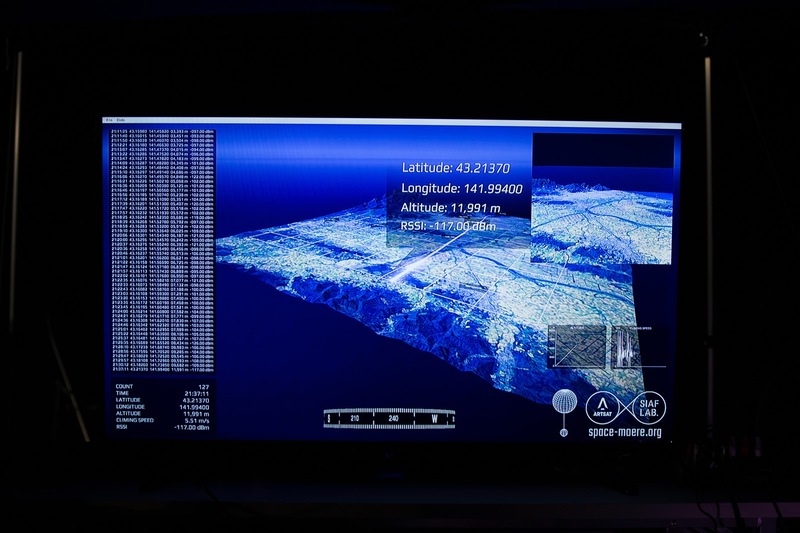 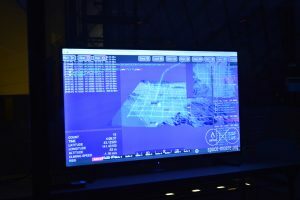 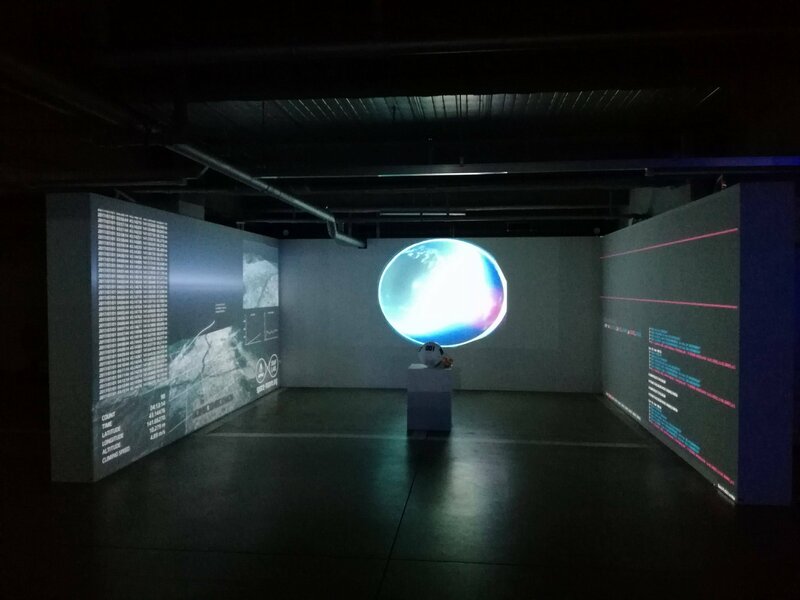 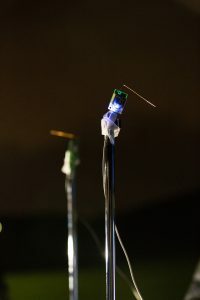 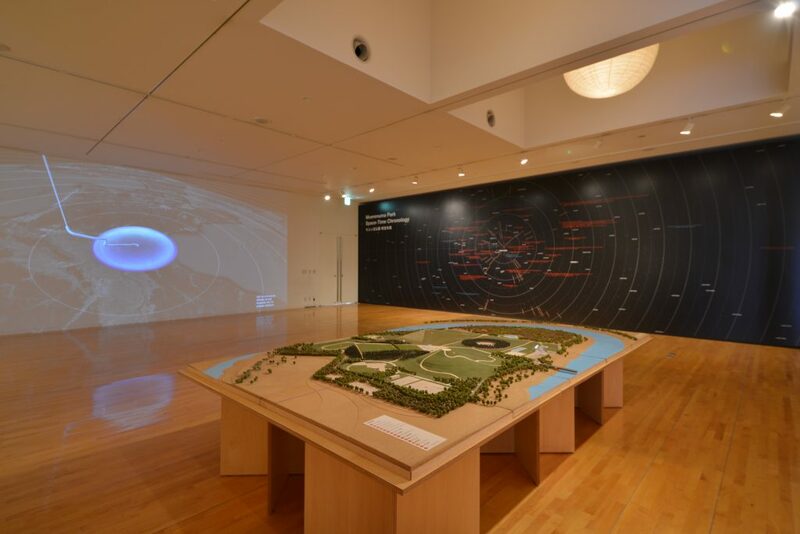 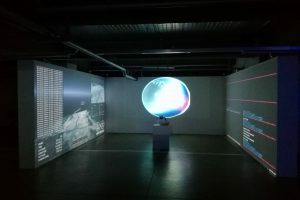 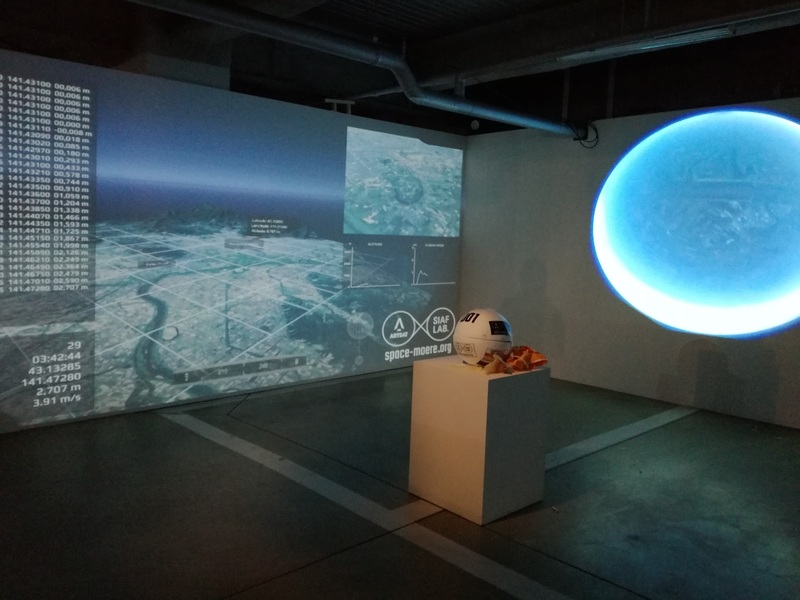 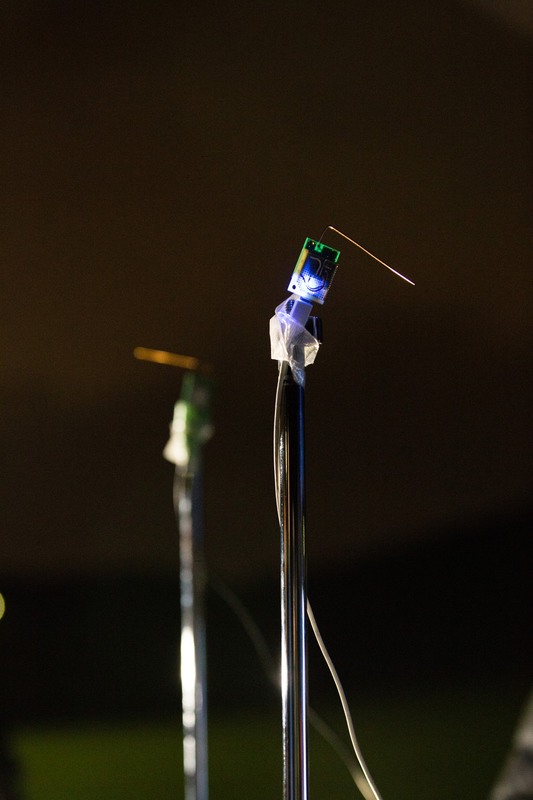 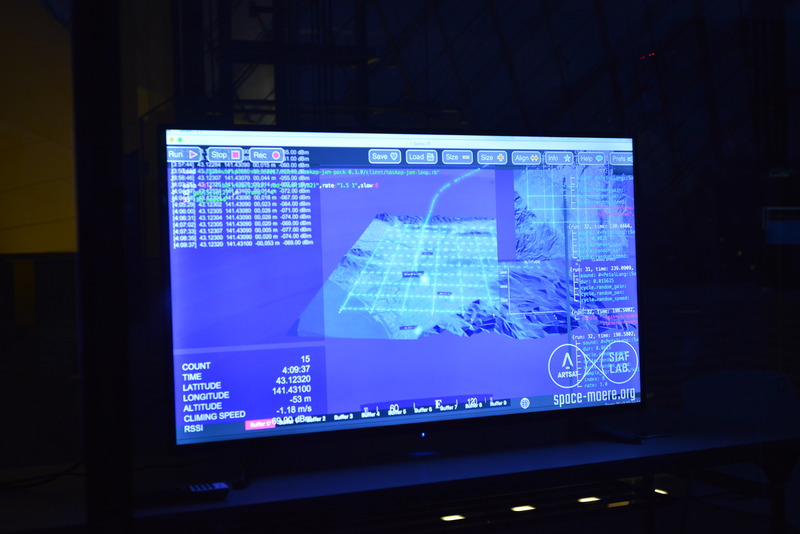 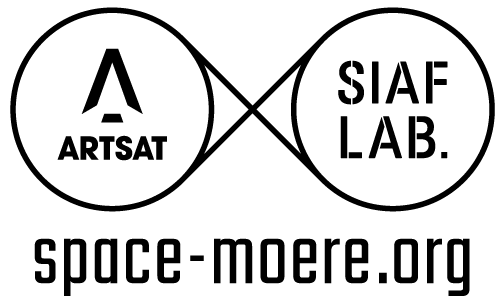 The right and left screens consist of a real-time visualization of its trajectory data (left screen) and a software receiving and decoding a source code automatically generated in the flying payload from its environmental data into sound (right screen). 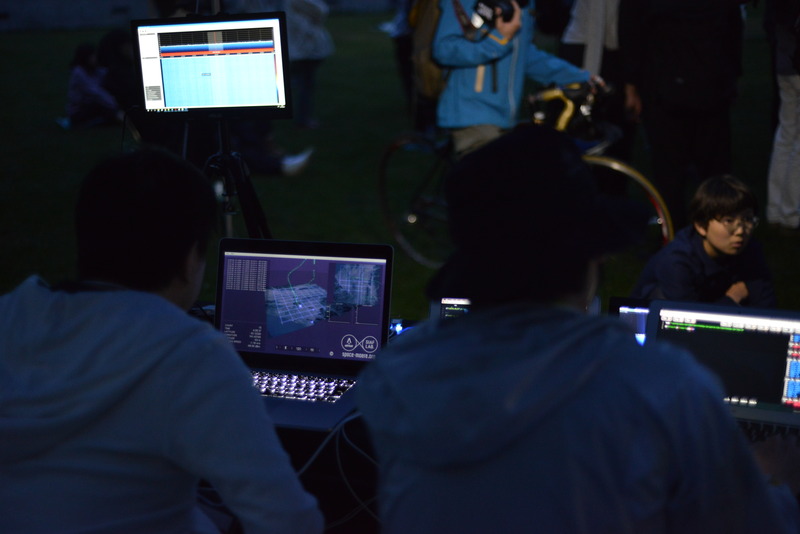 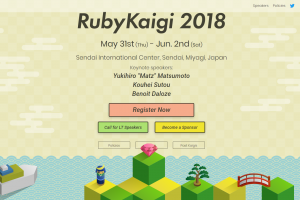 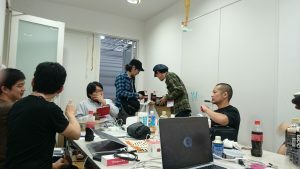 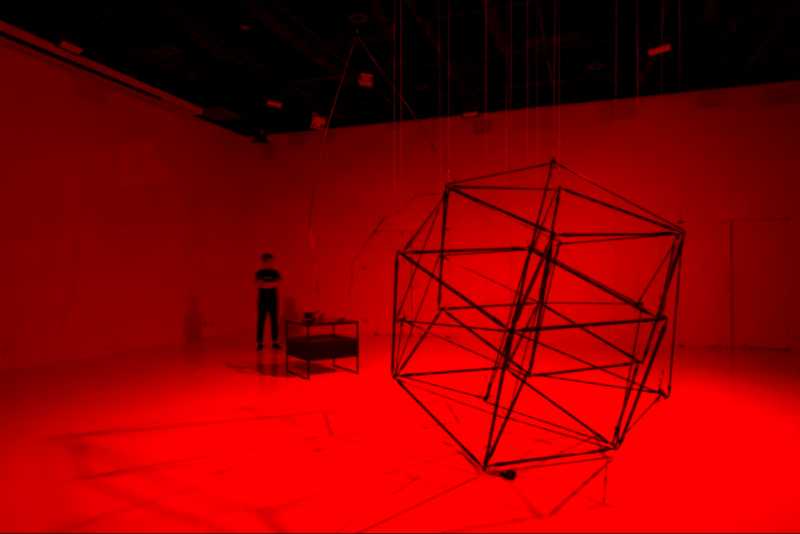 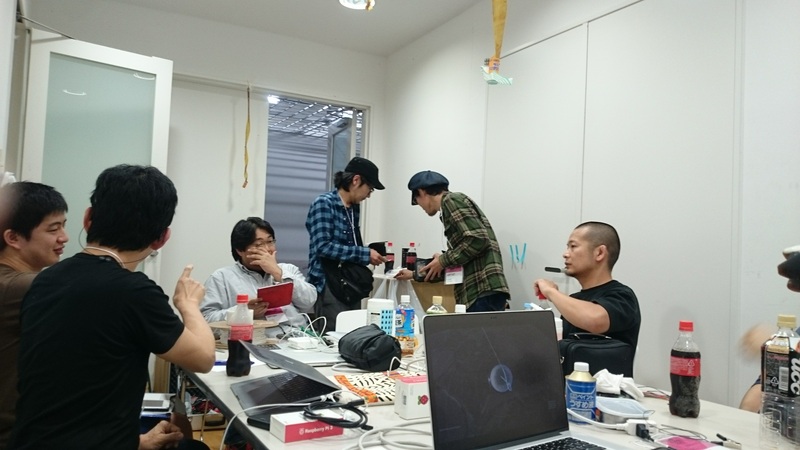 Four players made their performance with a recorded source code sent from the flying module as well as each other, using a real-time code sharing editor to generate sound and visual (center screen), which was specially developed to enable our live-coding performances. 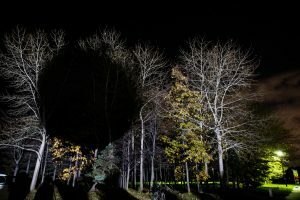 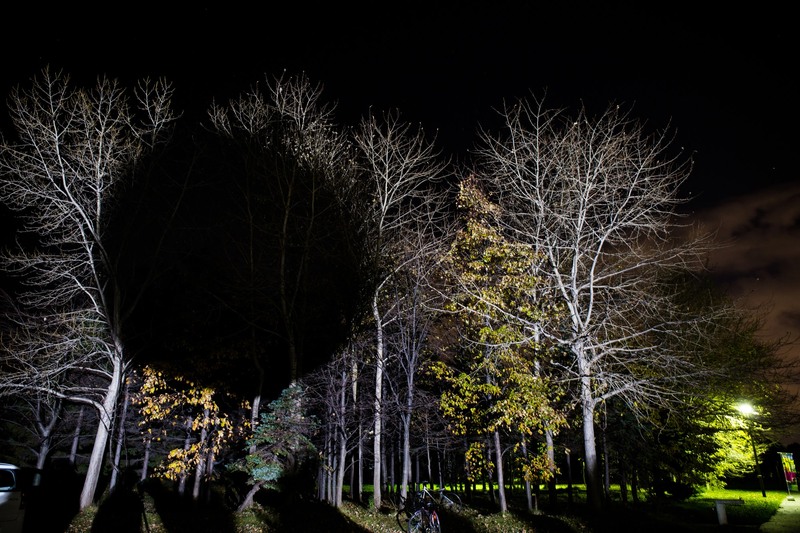 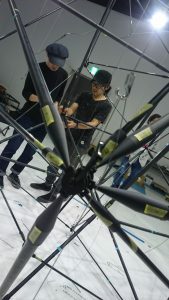 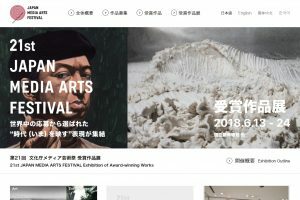 21st: Announcement of Award-winning "Sculpture for All of the Intelligence"